KEEP UP WITH REGULAR MAINTENANCE - Routine maintenance like cleaning and painting (especially the exterior) are vital to minimizing issues that might mean costly repairs. It’s a good idea to develop a maintenance schedule and follow it as best you can. LIMIT CHANGES - When repairs must be made, try to keep original details intact. For example, if some trim needs to replaced due to rot or infestation, only replace the parts that are damaged. This will save wood and money and help preserve the historic fabric of the house. If you do have to replace something completely, take photos prior to removing anything so that it can be duplicated to retain the character of the home. EMBRACE THE QUIRKS - You don’t have to “fix” everything. You can repair and stabilize structural damage while keeping elements that show how your home has aged over the generations. KEEP HISTORIC INTERIOR FEATURES - While you will surely want to update some aspects of your home, try to hang on to the charming features that make it unique. Things like transoms, paneled doors, moldings and such are features that make your home special. KEEP PLASTER WALLS - Plaster is a remarkable material that is superior to modern day drywall. In recent years, preservation contractors have discovered the Benefits of Preserving Plaster Walls. Damaged plaster walls can be repaired, and if necessary, only replace the damaged portions. 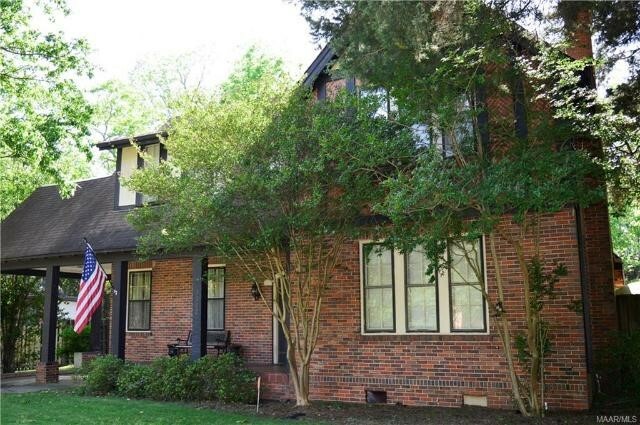 If you are interested in purchasing a historic home in Montgomery, AL let Sandra Nickel and her Hat Team of Professionals assist you with your search. Call them today at 334-834-1500! - Pick a weekend to select your color, purchase supplies and complete the task. Make sure the weather will be appropriate. Paint needs to dry, so clear, sunny days with mild temperatures are best. - Choose a color. If you’re not sure what color you want to use, you can purchase small samples in several colors and paint them on the door to get an idea of what you might like. Look at them throughout the day to see how they look as the light brightens and dims. Once you have chosen your favorite hue, you can then purchase what you will need to complete the project. For an exterior door that has been primed, you will need about one quart of paint. - Make sure you use the right kind of paint. 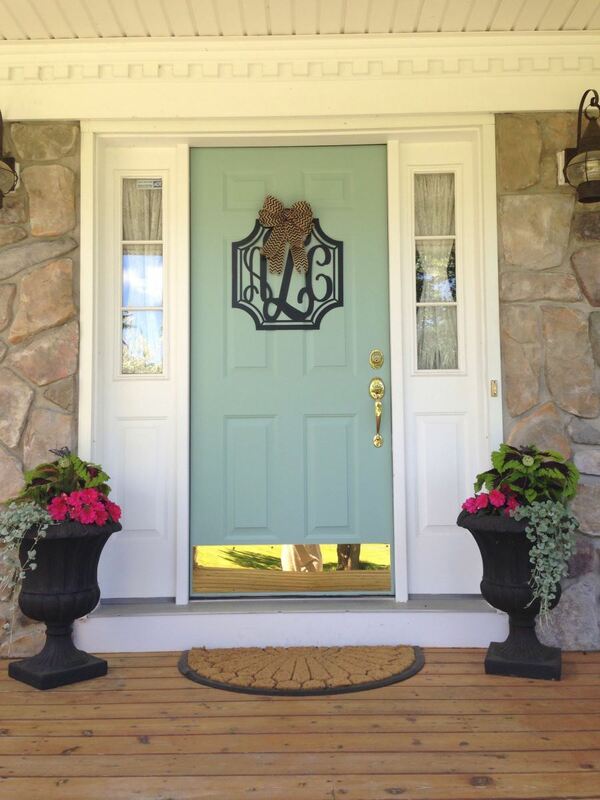 If you don’t have a glass or storm door that protects your front door from the elements, you are definitely going to want to use exterior paint. (Difference Between Exterior Paint and Interior Paint). Paint with a glossy finish is best because it not only stands out, but also holds up against nicks and scrapes better than flat or eggshell paint. Most importantly, make sure to note if you are using latex or oil-based paint. When you need to touch up the paint in the future, you should never use oil paint over latex or vice versa. Also, be sure that your primer has the same base as your paint. - Prepare to paint. You can paint your door in place or remove it from the hinges if you have a glass or storm door to keep insects and such from finding their way inside. You can also use a tarp to cover your doorway if you don’t have a storm/glass door. Remove all hardware from the door. Using a wet rag, clean the door, and then use a sander or sandpaper to smooth it out. If you are painting a different color, you will need to prime it first. - Now you are ready to paint! Begin by applying the Primer. Cover the entire door using a roller for application. After the primer dries, it is finally time to paint. If the door has trim work or small details, use a paintbrush to go over them. You can use a low-nap or foam roller to paint the whole door, but a paint brush will give you a lovely, hand-painted look. You can also just use a paintbrush for the final coat to give it that look. Make sure the door is completely dry before reattaching the hardware and rehanging the door if you removed it to paint. Voila! You are done and you just spruced up your curb appeal! If you are in the market to buy or sell a home in the Montgomery area, call Sandra Nickel at 334-834-1500 and let her and her Hat Team of professionals put their skills and expertise to work for you! Do not keep any standing water on your property. Even a single forgotten flowerpot full of rainwater can become a mosquito breeding ground. Install ceiling fans on porches - flies and mosquitoes do not like moving air. 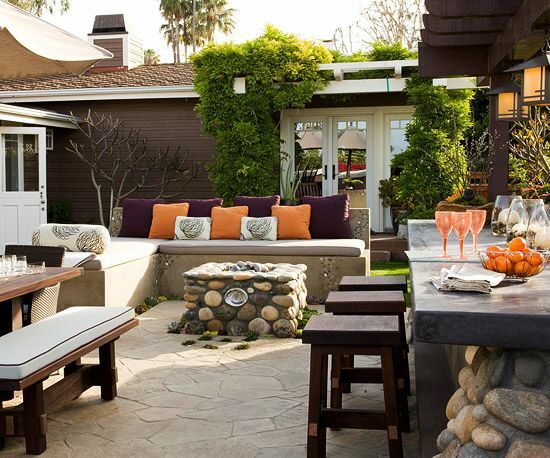 USE OUTDOOR FABRICS IN EXPOSED AREAS. If your porch is covered, you may be able to get away with using more delicate furniture and cushions not specifically made for outdoor use. But if your seating area is exposed to the elements, you will want to invest in fabrics and furniture made for outside use. They will likely be more expensive, but they won’t fade in the sun, will resist stains and are water resistant. The cushions are stuffed with material that sheds water easily so that they won’t stay waterlogged if they get wet. UTILIZE A STORAGE BENCH. While outdoor cushions are designed to stand up to repeated soakings, they will still be wet for a while directly after a rainstorm. You can avoid having to sit on damp cushions by keeping them in a covered storage bench when you know there is a chance of rain. If they won’t fit in a storage bench, lean your larger cushions against the wall of the house. Do the same with any lightweight folding chairs. MASK SOUNDS WITH RUNNING WATER. If noise is an issue that prevents you from indulging in a peaceful outdoor experience, try using a water feature to drown out the distraction. Water is a great way to gently camouflage sounds from close neighbors. Try installing a fountain near your seating area for a more tranquil atmosphere. MUSIC. If the water feature doesn’t appeal to you, soft music playing in the background can be just as effective at masking sounds. With wireless speakers, you don’t even need an outlet to play your music. SHADE. Even when you are craving the warmth of the sun, sitting outside without any shade on a hot, sunny day will send you running for the AC before too long. There are a lot of options for adding shade to your yard. Try freestanding umbrellas, a cloth overhang, lattices, a shade tree or a pergola. HAVE BLANKETS FOR CHILLY EVENINGS. Keep some blankets nearby. Old wool camp-style blankets, lightweight kantha quilts, or fringed throws work well. Your guests will thank you on chilly evenings in the garden! HAVE ADEQUATE NIGHTTIME LIGHTING. Your outdoor space will really come alive at night with Outdoor Lighting. Try placing lighting under a bench seat for subtle illumination, make a ring of lanterns on the grass around your dining table or hang strings of lights overhead. Landscape lighting will add to the ambiance as well. If you’re looking for a home with a beautiful space for outdoor enjoyment, let Sandra Nickel and her Hat Team of professional Realtors help you find the right home for you and your family! Call them today at 334-834-1500! A plain slab of poured concrete for a patio may be common, but it is boring. However, recently, there has been a newly gained respect for using concrete as a decorating element in floors. counters and other applications. 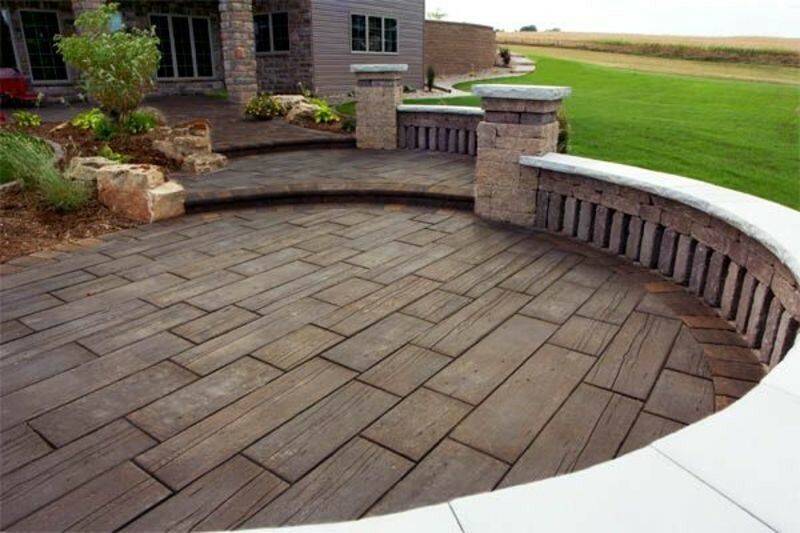 Landscapers are taking this age-old material and giving it a new look using a Stamping Process to create patios that look like natural slate or fieldstone at a fraction of the price these high-end materials would generally call for. Stamped concrete has been around for a long time, but older methods used molds that were more like cookie cutters. New methods use natural sources which create a more realistic finished product. There have also been advances in the various coloring methods that are available. The prevailing one is a dry, powdered form, called a Dry Shake Floor Hardener, which also serves to firm up the poured concrete prior to stamping. After applying the hardener, a release agent is applied which allows the latex molds to be pulled up without sticking to the concrete. These agents come in an antique finish that when stamped into the joints and crevices of the concrete, create a realistic, three-dimensional appearance. Once the concrete has hardened, a sealer is used to not only protect the porous concrete from possible staining, but also to enhance the color of the finished patio. In wet areas, such as pool decks, an anti-slip ingredient can be added for safety. - Don’t be square! Take advantage of the fact that concrete can be poured in any shape. You can use stamped concrete in small spaces, but why not jazz it up? Incorporate curves or go from a square to a half-circle. You can even shape the concrete to flow with the landscaping. - Add a border. If stamping all the square footage of your concrete is too expensive, then consider just stamping the border. A patterned border frames the concrete, giving it a finished look. Borders are an inexpensive way to embellish plain concrete. - Keep color simple. Coloring your concrete with multiple colors can greatly add to the cost of the project. You can save a lot of money by using one color. It will still be prettier and make a greater impact than a plain, gray slab. - Saw cut and texture. A concrete contractor will be able to tell you if it’s feasible to cut a pattern and then use a texture skin for pattern. Your contractor can create grooves in the concrete and then a texture skin can be applied to give a 3-dimensional look. - Expand the area you’re stamping. Extend unique, fun patterns beyond the patio onto the driveway, walkways and steps. Get more for your money by stamping in multiple places to create a holistic look rather than just splurging on one single area. If you are making home improvements to sell your home, contact Sandra Nickel at 334-834-1500. She and her Hat Team of Professionals can help you decide what improvements will get the best return on your investment! March is here and chances are the winter doldrums are getting to you. Now is a good time to start tackling some home maintenance tasks that will remind you that spring is right around the corner! 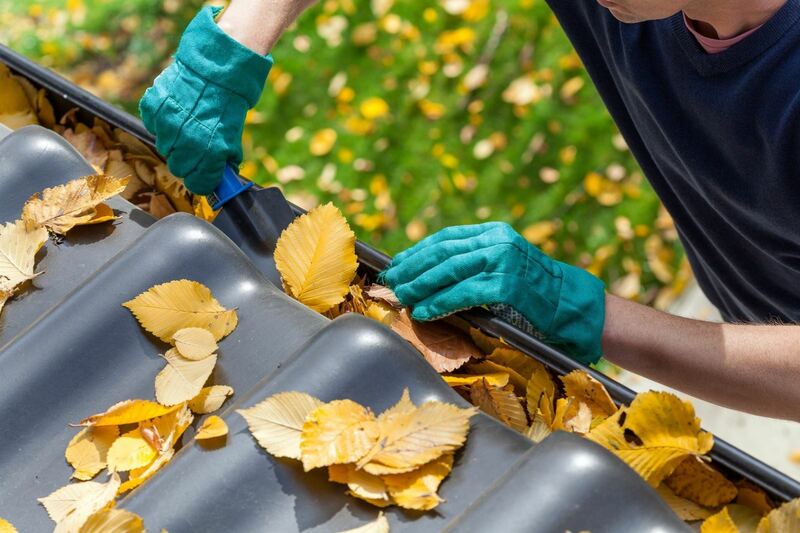 Once the last frost of winter has passed, it is important to have your gutters and downspouts cleaned and, if necessary, repaired. Clogged gutters and downspouts can cause wood trim in the eaves to rot and that can leave and opening for all kinds of critters to invade your house. If you’re not sure what to look for, you can have a Home Inspector come and look for you. 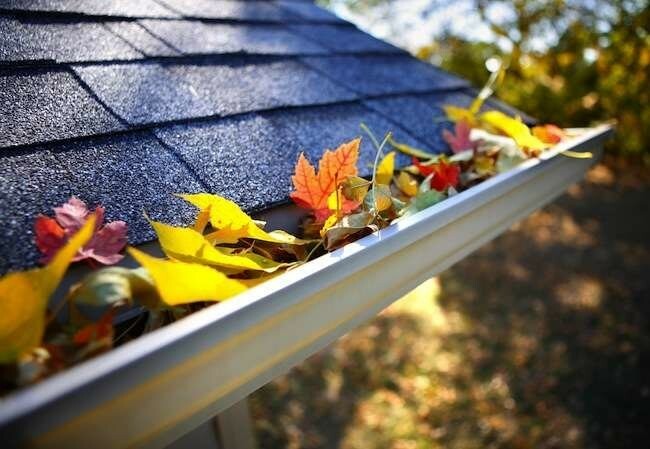 Another benefit to cleaning out your gutters and downspouts early in the season is that it can help to prevent damage from spring rains. If they are installed and cleaned properly, they will divert water away from the house and keep it from collecting around your foundation. Your lawn may be looking sad as the winter months have taken their toll, but it doesn’t have to stay that way. Giving your lawn a little attention toward the end of winter will make for a lush, green lawn this spring and summer. The first step is to aerate your soil. When soil is compacted, it is too hard for water, air and roots to penetrate. That makes it hard on grass. You can rent a core aerator from a local equipment rental store. A half day’s rental generally costs about $40. This machine, which resembles a large rotary tiller, uses steel tubes to take plugs of soil from the lawn and deposit them on the ground. You can reduce compaction by aerating once a year and this will increase the vitality of your lawn. The second step is to mow the old grass low. If you have cool-season grass such as bluegrass, fescue, or perennial ryegrass, you can skip this part. But if you have warm-season grass such as Bermuda, buffalo grass centipede, St. Augustine or Zoysia, you will want to mow that old, brown grass low at the end of winter to remove the accumulation of thatch, an accumulation of dead stems and leaves. If you leave the thatch, it will prevent water and nutrients from reaching the roots and will encourage disease. Cut Bermuda lawns to ½ inch and leave the clippings in place to decompose. Mow other types to 1 inch. If you use a regular mower, bag the clippings; then compost or discard them. Mowing low allows more sun to reach and warm the soil which helps the grass to green up. The final step is to stop weeds. As the temperatures rise and reach 70 degrees, the seeds of lawn weeds begin to sprout. Late winter is a good time to stop them by applying a pre-emergence lawn weed preventer. When used properly, it creates a barrier atop the soil to keep weeds from sprouting. Make sure not to aerate after using the weed preventer or you will break the barrier. Do not use this type of product if you are planting new grass though, because it will keep grass seeds from coming up as well. Once you have your lawn ready, then you can start thinking about selecting plants and flowers for your home garden! Winter can be hard on your home. Now is the time to inspect the caulking around your windows and doors and to repair any damage left behind by old man winter. Check around your windows, doors, and corner trim to prevent water infiltration and avoid costly repairs. Using high-quality siliconized acrylic latex caulk that is rated for exterior use will cut down on the amount of caulking you will have to do. It has good adhesion and flexibility, cleans up easily with water, and is paintable as well. Make sure you know what you are doing and avoid common mistakes in caulking. If you’re thinking about selling your home, spring home maintenance is a step toward making your house more alluring to potential buyers. 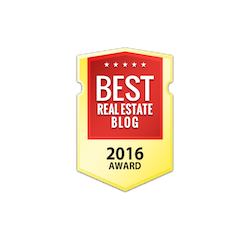 The professionals on Sandra Nickel's Hat Team can help you get your house on the market and sold today! Contact them at 334-834-1500. Open shelving - Open shelving appeals to minimalists because there is nowhere to hide clutter, but they aren’t the most practical of designs. Unless you have perfectly matching items, it might just end up looking like a bunch of random “stuff” piled on shelves. Painted brick - Natural brick painted white has been popular, but before you pull out your paintbrushes, stop and think about whether it will still be popular in a few years. Natural brick is classic and provides a warm, cozy ambiance. Once you paint it white, it’s almost impossible to make it look natural again. Open floor plans - Everybody is knocking down walls! Nobody seems to want walls or doors between rooms anymore. Living spaces that are entirely open have been all the rage for a while now. But sometimes having separate rooms makes more sense. Thanks to technology, more people are working from home and need a private space. Don’t be surprised if walls make a big comeback! Barn doors - This farmhouse inspired home décor trend is still very popular, but like any very popular trend, its time is sure to run its course. If you must add a barn door in your home, just don’t add one to every room. Otherwise, you might find yourself replacing them all in a few years. Shiplap - If you watch any home renovation shows, chances are you have heard of shiplap…and chances are you have added it to your home. But like wood paneling of the 70s, shiplap is going to run its course in popularity. And when that happens, you’re going to have to figure out how to get rid of it. So, do yourself a favor if you haven’t added it already, and don’t. So, if you’re going to be redecorating in the new year, you may want to avoid these trends…unless of course you still like them. Because at the end of the day, your home should be decorated in a way that makes YOU happy! Clean gutters and downspouts. This should be done regularly to keep them clear of debris. You won’t have to do it as often if you install gutter guards. Check the wood trim around windows, doors, railings and decks for any holes or rotting. Fill holes using caulk or replace wood if necessary. Give your roof a thorough inspection. Look for shingles that are curling, buckling or cracking and replace them. If there appears to be a great amount of damage or if your roof is just worn out from age, it’s time to replace the whole thing. Hire a licensed professional if you’re not sure. Make sure to also check for leaks around skylights, pipes and chimneys. Hire a service to inspect and clean your wood burning fireplace and chimney and to make any necessary repairs to prevent chimney fires and carbon monoxide poisoning. Cooler temperatures and lower humidity make autumn a good time to paint the exterior of your home. Filters for your furnace and heating system should be cleaned and replaced. Have a licensed heating contractor come out to inspect and service your gas heater or furnace. Regular maintenance will keep it running proficiently and save you money on your heating bills. Check doors and windows for leaks and drafts both inside and out. Fill in cracks with caulking or install weather stripping. Test your carbon monoxide and smoke detectors and put fresh batteries in them. These are potentially life-saving devices and it is vital to take good care of them. Check these tasks off your list now and you will be able to enjoy a warm and comfy winter! Don’t know reliable people to contact? Just give us a call because we do! Electricity is a beautiful thing. It provides warmth in the winter and cools you off during hot summer months. It gives you light in the dark and makes chores like washing/drying clothes and doing dishes so much easier. You take it for granted because you’ve always had it and you certainly can’t even imagine what life would be like without it. Because it is such a normal part of your life, you probably don’t stop to think about how dangerous it can be. It is important to be educated about possible electrical problems in your home so that you will know how to deal with them before they happen. Do you know how old your home is? Often older homes don’t have the capacity for electricity that current technology uses. 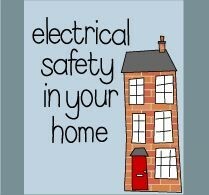 If you have never had an electrical safety inspection by a professional, now is the time to do so. If your home’s electrical wiring has not been updated to safely handle all the current that your family uses, it is crucial to have it done . Is your electrical panel hot to the touch? It shouldn’t be. Check the brand of your panel. Several brands are outdated or faulty and should be replaced. A faulty electrical panel can lead to a fire. That is not something anyone should risk. Outlets should not be hot either. If you feel an electrical outlet and it is warm or hot, it means there could be a problem. There are dangerous issues indicated by a warm/hot outlet. Whether it’s too much demand on the outlet, faulty or melting wiring, or other precarious situations, you don’t want to ignore it. Keep plugged in appliances away from water. This seems obvious, right? But sometimes limited space forces us to use electrical appliances near sinks or bathtubs. Whether you are blow-drying your hair at your bathroom vanity or your kitchen only has one plug for your toaster and it’s right by the sink, be extra careful. If a plugged-in appliance gets wet, don’t unplug it. Go to your electrical panel and unplug the power source for the outlet you’re using. Then you can unplug it. Make sure you are using the correct wattage light bulbs. Using a higher wattage than can safely be accommodated by a lamp or light fixture may overload its wiring, which is a fire hazard. It’s ok to use a light bulb with wattage equal to or less than that called for on the lamp’s socket. If you want brighter light, look for a lamp that uses a higher wattage bulb. Use an experienced, licensed electrician to handle your home’s electrical repairs and/or replacements. Professional electricians are well-trained and have years of on-the-job experience before being granted a license. They will know current codes and regulations and can safely navigate any problems they might come across. It’s easy to prevent electrical hazards if you are informed and educated about what to be aware of. So, don’t take electricity or your family’s safety for granted! 1. If you already have landscape lighting, why not purchase a few fun colored lightbulbs to use in them for different holidays. This will definitely make your outdoor space a lot more fun. 2. If you are getting tired of mowing your grass then, you may want to replace your grass with a garden. You might want to add a garden of flowers or a garden of vegetables or even put in a koi pond. Any of these ideas will help to keep you from spending your summer evenings mowing the grass all the time. This will make your outdoor space more fun. 3. If your patio furniture is old and outdated, now is the time to go out to purchase some that allows you to show your style more effectively. 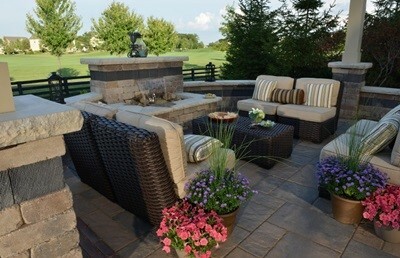 Outdoor furniture always makes outdoor spaces more inviting and fun. 4. Adding a new doorbell to the outside of your home may seem like a small thing. However, if you find a nice one that lights up the front door, it can do wonders towards making your home seem more inviting at night. 5. If you don’t already have a swimming pool, summertime is a great time to add one. Not much can make your outdoor space more fun than a swimming pool for all to enjoy. 6. If you do add a swimming pool, why not go out and make it really fun and cool by adding an outdoor shower to the mix. This type of thing is pretty rare unless your home is at the beach, so your outdoor shower may quickly become the talk of the neighborhood. It is almost time for the seasons to change once again as we move from winter slowly into spring. As the seasons change many people find that they like to get things around their home organized to make the transition seem smoother. Organizing your home can be made simple with a few of the following tips. One way to organize your home is to get rid of “junk drawers” throughout the house. Many times folks tend to throw things they don’t know what to do with into a drawer that soon becomes a drawer full of junk. While these drawers DO keep the junk out of the eye of those that come to visit, you just never know when someone may open one of them looking for utensils or other useful items and you may be embarrassed by them. Simple fix…..throw out the junk once and for all and have no more junk drawers in your home! Another great and simple way to organize your home is to organize and de-clutter your pantry. Typically there are items in your pantry that you haven’t used in years and they end up just sitting there taking up space. This is very true for old canned food items that tend to have a shelf life of forever. Once you get this simple organizing of your pantry complete, be sure not to let it get messy again by throwing away things you don’t use periodically. Yet another simple way to organize your home is to use all of your closet space for things you will actually use instead of just getting things out of the way. If you have a lot of games for example why not make a game closet just for the purpose of storing all of your family games. This type of closet will make it more likely that your family may have a game night once a week because you will know exactly where to go to find the games. Keeping all of the books in the house in one spot is another great organization tip. If you have various bookshelves in your home, you can utilize them for other purposes and keep one for only books. 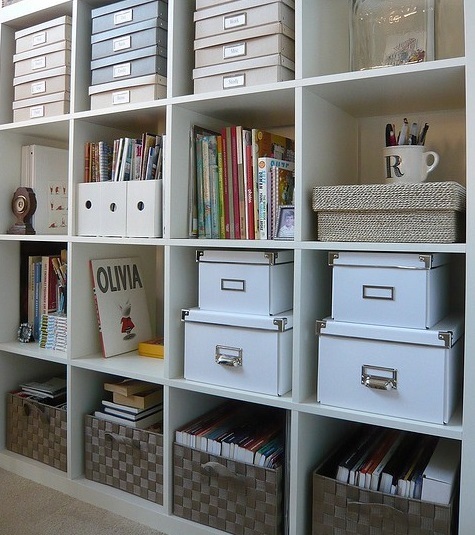 Organize each shelf for books from each family member if you have a lot of books.